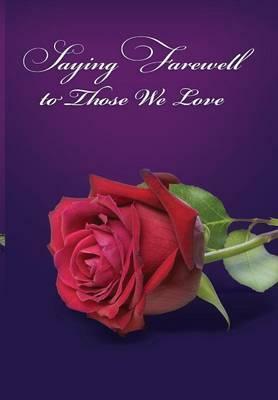 Following the success of "The Funeral Celebrants Handbook", Barry H Young, OAM has been inspired to write a sequel offering an abundance of choices of poems, prose and prayers to assist practising and aspiring funeral celebrants when planning a funeral. Families who wish to actually participate during the ceremony will also find a great depth of choice in this carefully considered volume which, like The Funeral Celebrants Handbook, is also presented in orderly sequential sections (passages), beginning with meaningful, relevant and heartfelt openings through to the Committal and Benediction. Barry Young prefaces each passage with moving words of wisdom about the actual messages or thoughts that the readings following will impart. There are passages suitable for funeral ceremonies for the elderly, middle-aged, teenagers, babies, tragic occurrences, suicides and the lonely; those who cut themselves off from society; those without family and those affected by illnesses and drugs. It provides tributes from husbands and wives, tributes from sons and daughters, grandchildren and those who have served in the forces. Barry Young OAM has been a member of the Australian Federation of Civil Celebrants since 1998. To hear him present a Farewell or Memorial Service is to be amongst the privileged. Being mindful of grief and the provision of comfort to young and old on his journey as a funeral celebrant, he has seen a need for such a book to assist celebrants to make each ceremony unique and meaningful for the loved ones. This book gives many inspirational choices of readings; it will also become a treasured and relevant handbook for celebrants. Barry H. Young OAM has been a member of the Australian Federation of Civil Celebrants since 1998. To hear him present a Farewell or Memorial Serice is to be amongst the priviledged. Being mindful of grief and the provision of comfort to young and old on his journey as a funeral celebrant, he has seen a need for such a book to assist celebrants to make each ceremony unique and meaningful for the loved ones. Barry is an author of historical literature and is also Australias most prominent author of Western Frontier novels and award-winning short stories. Barry received the Order of Australia award for recognition of meritorious service to the community supporting a range of youth services, aged care, disadvantaged and underpriviledged people as well as grief counselling.